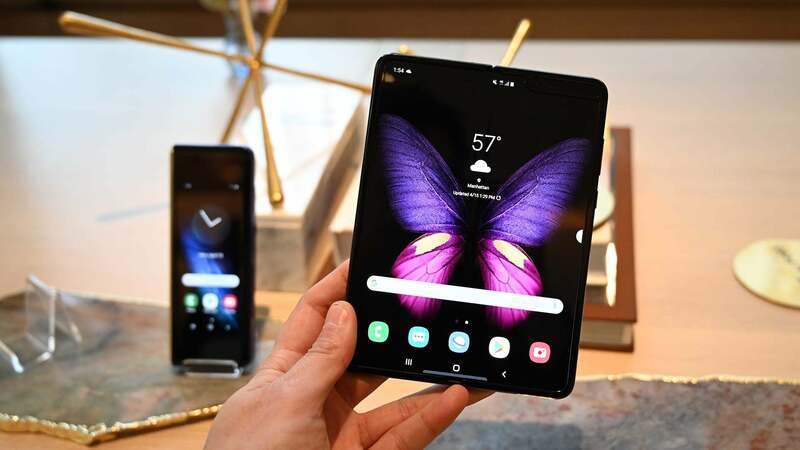 Announced in 2011, Samsung's Galaxy Note was the first mainstream phone to go big. At the time, we didn't really get it, but over the years, the Note line has proved it's worth the inconveniences that come with size. And from the looks of it, the new Note7 might just round the corner and prove that bigger can be better. Yet the Note7 doesn't appear to be a radical departure from what came before. More than any Note, this phone bears a striking resemblance, both in hardware and software, to this year's S7 Edge. 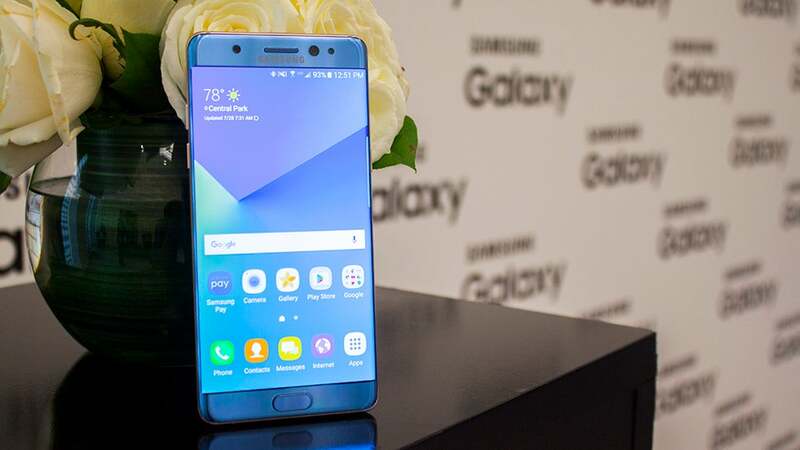 The phones are so similar that Samsung drove it home by skipping the Note 6 and declaring its latest phablet the Note7. And those similarities could be a good thing. The S7 Edge had been a great moneymaker for Samsung. It has a great camera, is completely waterproof, and has a stunning design — all things the Note7 inherits. It's also only slightly bigger than the Edge and is coming with the Edge-specific software as well. It's beginning to feel like the Note and the S7 Edge are cannibalising one another, rather than the Note being the productivity-minded big brother of past years. Beyond the included stylus, which has improved pressure sensitivity, there are only a few major differences between the S7 Edge and Note7. Note7 (left) compared with last year's Note5. The front and back possess and identical curve. The most noticeable difference between the Note7 and the Edge isn't the stylus. It's that the Note7 is better to hold than Samsung's previous attempts at Edge designs. That's thanks to its symmetrical design. 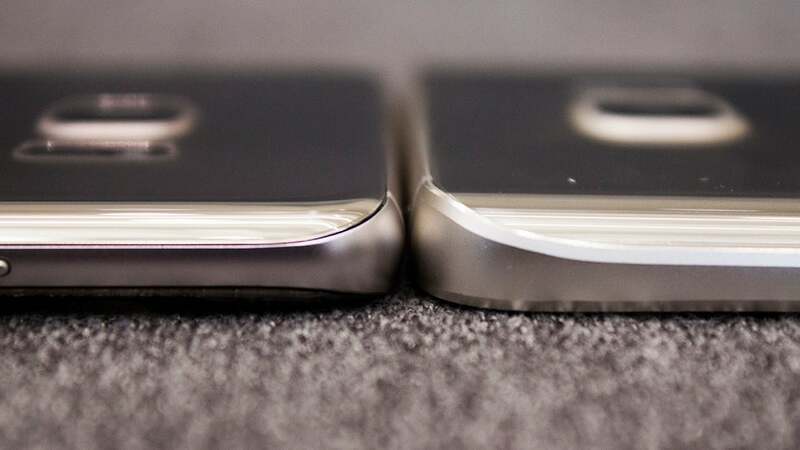 As seen above, the back of the phone mimics the front of the phone so the phone is all curves instead of blunt edges. Samsung didn't just steal and improve on the S7 Edge's curves, its tacked on Edge UX, a set of software shortcuts that were previously exclusive to Edge smartphones. The differences between the Edge and Note7 are now minor enough that you have to wonder why they both exist in the same world. Although, the Note does have one thing going for it — a big, beautiful blue variation, unfortunately not available in Australia. 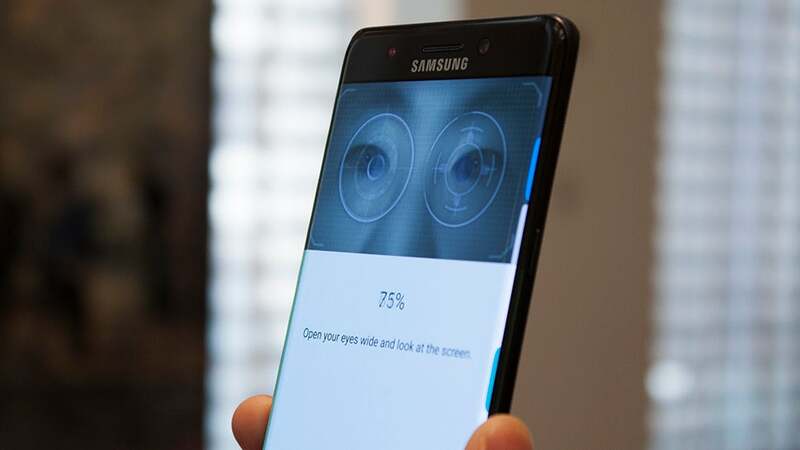 The most "whoa future" on the Note7 is its infrared scanner that can log into your smartphone by scanning your eyeballs. Samsung sees this as an added security layer on the Note7. To take advantage of the retina scanning, it's even added a new application, Secure Folder, that requires a retina scan if you want to access it. The Secure Folder is where you'd store important information like passwords, documents, or nudes (I don't know you. I don't know your life). Although retina scans with your phone are super cool and surprisingly fast, it doesn't appear to do much beyond the lock screen and Secure Folder. Though Samsung says it will soon be adding the feature to other apps, like Samsung Pay. New Gear VR (left) next to old Gear VR. Notice the new dedicated home button (top left) and a new groove-less touchpad. The Note7 will be the first high-end Samsung phone with USB Type-C, the connector of the future. 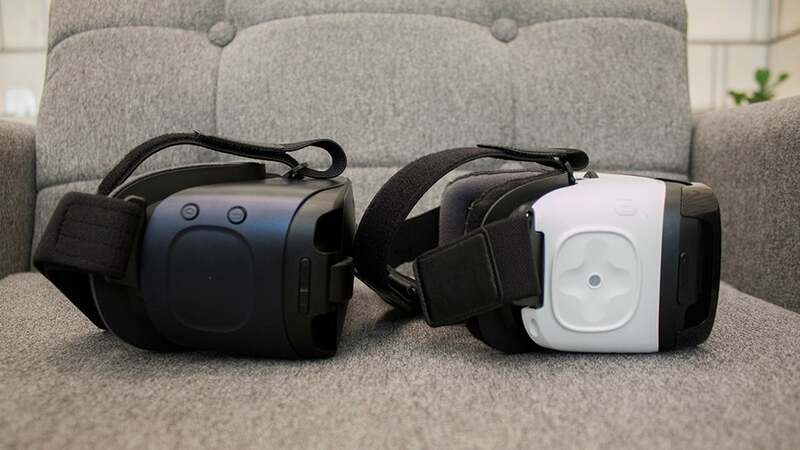 Because of this new connector, Samsung is also redesigning its $159 Gear VR. With a removable cap, the new Gear VR can switch between USB Type-C and MicroUSB, so old Samsung phone users won't be left in the miserable VR-less world. Besides the USB-C to MicroUSB adaptor, the new Gear VR has added some other improvements. It's more comfortable, the trackpad is better, and the black colour helps with glare inside the headset itself. All great tweaks for the best affordable VR currently available.